This page explains the workflow for creating and amending changes in the browser. A new change can be created directly in the browser, meaning it is not necessary to clone the whole repository to make trivial changes. The new change is created as a draft change, unless change.allowDrafts is set to false, in which case the change is created as a normal new change. By clicking the 'Follow-Up' button on the change screen, to create a new change based on the selected change. While in edit mode, it is possible to add new files to the change by clicking the 'Add…​' button at the top of the file list. Files can be removed from the change, or restored, by clicking the icon to the left of the file name. Reverting a file in the change is also supported and is achieved in two steps: remove file from the change and restore the file in the change. To switch from edit mode back to review mode, click the 'Done Editing' button. While in edit mode, clicking on a file name in the file list opens a full screen editor for that file. To save edits, click the 'Save' button or press CTRL-S. To return to the change screen, click the 'Close' button. If there are unsaved edits when the 'Close' button is pressed, a dialog will pop up asking to confirm the edits. To discard the unsaved edits and return to the change screen, click the 'OK' button. To continue editing, click 'Cancel'. While in review mode, it is possible to switch directly to edit mode and into an editor for a file under review by clicking on the edit icon in the patch set list on the side-by-side diff view. Note that patch sets may exist that were created after the change edit was created. means that the change edit was created on top of patch set number 9 and a regular patch set was uploaded later. Change edits can be deleted, published and rebased, and a patch set that represents a change edit can be downloaded like a regular patch set. There is a special ref for a change edit. When the change edit is deleted, this ref is deleted as well. To delete a change edit click on the "Delete Edit" button. When a change edit is based on the current patch set, it can be published. By publishing a change edit it is promoted to a regular patch set. The special ref that represents the change edit is deleted on publish. 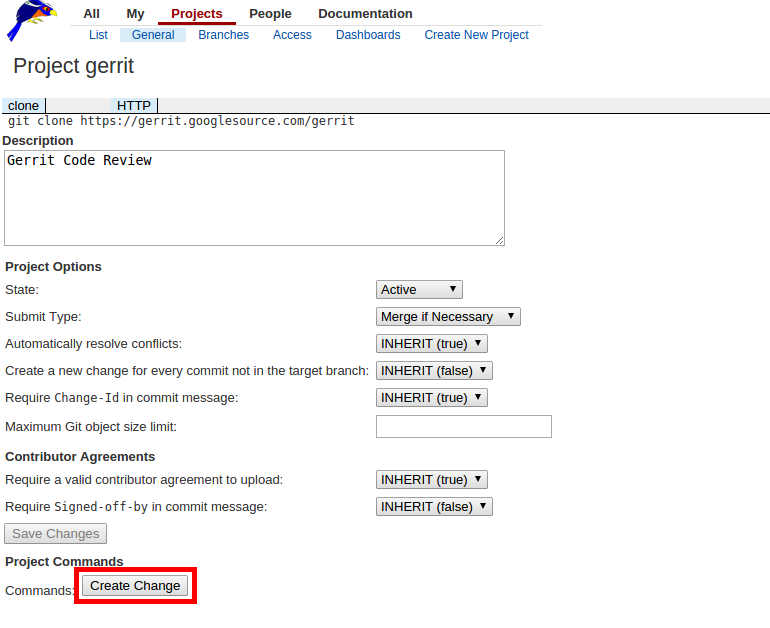 To publish a change edit click on the "Publish Edit" button. This button is only shown when the change edit is based on the current patch set. Otherwise the change edit must first be rebased onto the current patch set. Like regular patch sets, change edits can be downloaded by the download commands (e.g. provided by the download-commands plugin). 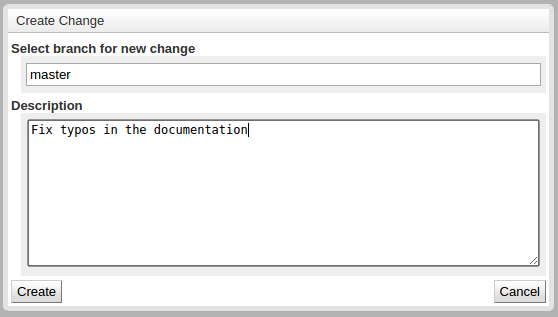 To download a change edit, select the desired scheme from the "Download" dropdown and copy the command to your terminal. Note: only change edit owners and users that were granted the accessDatabase global capability are able to access change edit refs. [PENDING CHANGE] The inline editor uses settings decided from the user’s diff preferences, but those preferences are only modifiable from the side-by-side diff screen. It should be possible to open the preferences also from within the editor. Allow to rename files that are already contained in the change (from the file table). The same rename file dialog can be used with preselected and disabled original file name. Allow to activate different key maps, supported by CM: Emacs, Sublime, Vim. Load key maps dynamically. Currently default mode is used.